The high point of Antonio Lotti's career came in 1719 when his operas inaugurated the opening of the new opera house 'am Zwinger' in Dresden. They were also as part of the extraordinarily extravagent musical celebrations surrounding the marriage of the Crown Prince and Maria Josepha. It is symptomatic of the problems concerning the history of music of the early 18th century that doubt exists regarding Antonio Lotti's nationality. He is either to be regarded as German or Italian, with either Venice or Hanover named as his birthplace. Coincidentally it was in Germany and Italy that Lotti undoubtedly had his greatest successes. Lotti's father Mateo was Kapellmeister at Hanover and presumably provided his early training. By the age of sixteen he was in Venice studying with Giovanni Legrenzi. 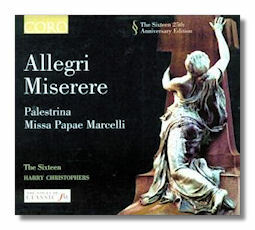 In 1687 as a singer (alto) he began an association with the Basilica of St. Marks which was to continue until his death. The Basilica of St. Marks, adjacent to the Doges Palace was of central importance to the republic. The doge worshipped in St. Marks on special occasions and sacred music developed to represent his and the republics best interests. His progression involved periods as assistant to the second organist (1690-1692) and second organist (1692-1704). In 1698 Lotti received 100 ducats for the completion of a book of masses. 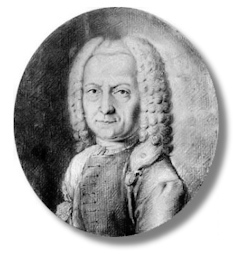 Whilst as first organist (1704-1736) he failed to gain sufficient votes in the competition with Pollarolo and Porpora for the maestro di capella post. Eventually, after three years he gained the position primo maestro di capella after a further competition with Pollarolo and Giovanni Porta. As maestro di capella he earned 400 ducats and free lodging at the Piazza Canonici. In addition to his duties at St. Marks Lotti also wrote music for the famous female choir, whose training he supervised, based at the Ospedale degli Incurabili, one of the four ospedali in Venice. The other ospedali were the Ospedale della Pieta, the Ospedale dei Mendicanti and the Ospedale dei Derelitti ai SS giovanni e Paolo. The ospedali or 'hospitals' were charitable institutions that provided shelter and accommodation for female orphans. Music making at these institutions was so developed by the beginning of the eighteenth century that noblemen were attempting to secure places for their talented daughters education at these establishments. Antonio Vivaldi was closely associated with the Ospedale della Pieta and composed many concerti for this institution. For Venetian composers and musicians they provided an important source of income. Lotti's entry into opera composition is marked by the performance of Il trionfo dell'innocenza in 1692. His most successful period however was between 1706 and 1717 when sixteen of his operas were performed, making him one of the most highly regarded opera composer of the day. Venetian opera was not only a focal point of entertainment for Venetian aristocracy and affluent tourists but due to its vitality exerted a strong magnetic attraction upon many foreign composers and musicians who came to experience it at first hand, notably George Frideric Handel, Johann David Heinichen and Johann Adolf Hasse. Operas were only performed during Carneval, in effect any time when mask wearing was permitted. The main theatres were the Teatro di S Giovanni Grisostomo, S Salvatore, S Angelo and S Cassiano. These theatres were small by modern standards, with an audience capacity of only a few hundred predominantly in boxes that were leased more or less permanently to wealthy families. Venetian opera was characterised by visually sumptuous productions, small casts whose performances were interspersed with choruses and dances and an orchestra of chamber proportions. Opera performances were divided into two groups, separated by patronage and in consequence subject matter. The first group was often dedicated to Roman nobles and had scenarios based upon Roman mythology and were primarily composed by renowned Venetian or Neopolitan composers i.e. Gasparini, Pollarolo, da Vinci, Porpora and Leo. The second group were dedicated to foreign, notably German and English patrons, had scenarios based upon Gothic legends or exotic subjects from Persia, Ethiopia and China and were composed by German composers i.e. Handel Hasse and Heinichen or Venetians with foreign ties such as Lotti and Vivaldi. "Le prince a souheiste ostre foies dasmener des chanteur et janteusse instalienne et en aves angages Come iel se trouves a Veniesse, on leuies donne permission, et commission den en gages, (pour) fairre une chaspelle de voies entrierre, qui peusse servier a losperras et pour legisse des virtuossi dinstrimmen nous en avon pas bessoin eigens un orkestre comples…un machiniste un combossiteur le mestro de chaspele se truves dejas…." This necessitated his being given leave of absence from St. Marks to take up this position which the procurators granted on the 17th July 1717. Lotti's services, with a complete opera troupe were secured with vast salaries. Lotti and the principal singers received five times the salaries of the Kapellmeisters Schmidt and Heinichen. He left Venice for Dresden on the 5th September 1717 with his wife the soprano Santa Stella, the librettist Antonio Maria Luchini and Margherita Zani (called Marucina), Lucia Gaggi (called Bavarini), the castrato Francesco Bernardi (called Senesino), Matteo Berselli, the tenor Francesco Guicciardi and the bass Giuseppe Maria Boschi. In February 1719 Francesco Maria Veracini travelled to Italy to sign up more singers. He succeeded in securing the services of Margherita Durastanti and Vittorio Tesi in Venice and Maria Antonia Laurenti in Bologna. In October 1719 Lotti and his wife Santa Stella were the first members of the opera ensemble to leave Dresden. As a souvenir of his visit Lotti kept the carriage and horses that had been given to him for his return trip to Venice. By February 1720 the entire Italian opera ensemble was dismissed under the pretext of a quarrel between Senesino, Berselli and Kapellmeister Heinichen. After his successful period in Dresden remained in Venice except for one trip outside the city until his death in 1740.